The club shall consist of; Duly elected and appointed Executive Committee, Officers and Officials, Honorary Life Members, Individual Members and other Individuals and Organisations who may be admitted at the discretion of the Executive Committee. 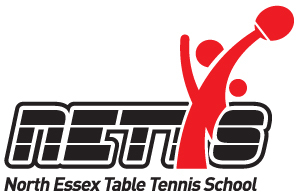 The club shall be affiliated to the English Table Tennis Association and Essex County Table Tennis Association. The club believes that it is important that everyone associated with it should, at all times, show respect and understanding for the safety and welfare of others. Members are encouraged to be open at all times and to share any concerns or complaints that they may have about any aspect of the club with the Chairperson, Secretary or Treasurer. A first aid kit is available at the club venue but there may not be a qualified first aider present at all club activities. Members taking on official roles within the club are required to complete a personal disclosure form. 1.1 The Club will be administered subject to the overriding authority of an AGM or EGM by an Executive Committee consisting of the Chairman, Secretary, Treasurer, Head Coach, Director of Development, Volunteer Co-ordinator and Welfare Officer plus three other members. 2.1.5 Proposed amendments to the rules should be notified to the Secretary at least 21 days before the date of the AGM. 6.1 In the event of the dissolution of the Club all assets remaining after the discharge of its liabilities shall be placed with Essex County Table Tennis Association who will hold them secure for a period of five years pending a reforming of the Club. Should this not occur within five years the assets shall revert to Essex County TTA.